The Billings Bookstore Cooperative, which runs This House of Books in Billings, Mont., and former CEO and manager Gary Robson have settled their financial disputes, the Billings Gazette reported. At issue was the 2016 deal under which Robson sold the assets of his bookstore, Red Lodge Books and Tea, in nearby Red Lodge, to the co-op and became CEO and manager of the co-op's new bookstore, That House of Books. Early last year, Robson was let go and said that the co-op owed him salary as well as some money for the purchase of Red Lodge Books and Tea. He returned to Red Lodge and now runs the Phoenix Pearl Tea Tavern, a tea shop. Cooperative board chair Jacqueline Lafever told the Gazette that the board and Robson had gone to mediation this year and recently reached a deal, which remains confidential. Robson confirmed the deal in a tweet that read: "The Billings Bookstore Cooperative and I have reached a settlement of the various disputes between us. 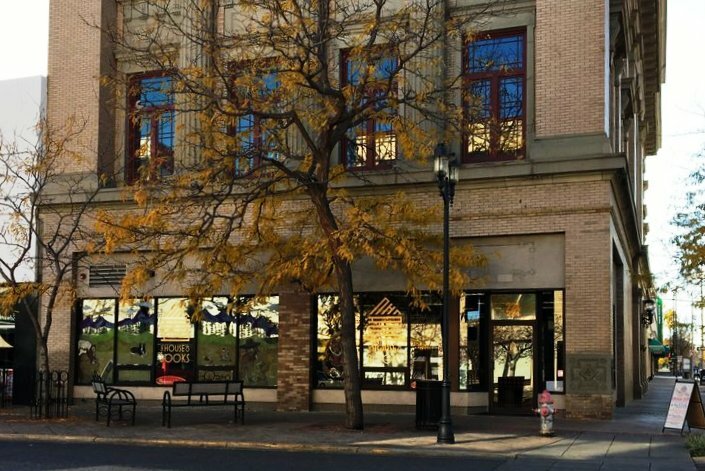 Both parties' issues have been fully resolved, and we all hope that the community will continue to support This House of Books, the independent bookstore in Billings, and the Phoenix Pearl Tea Tavern, my family's tea shop in Red Lodge." Although Amazon's sales in the U.K. continue to grow--rising 20%, to $11.4 billion, in 2017--for the second straight year the company was able to halve the amount of corporate tax it paid, the Bookseller reported. According to filings at Companies House, while sales of Amazon's U.K. Services company--its warehouse and logistics arm that employs more than two-thirds of Amazon's 27,000 employees in the U.K.--rose nearly 36%, to £1.98 billion (about $2.57 billion), in 2017, it paid £4.6 million ($6 million) in U.K. corporation tax, down from £7.4 million ($9.6 million) in 2016 and £15.8 million ($20.5 million) in 2015. Booksellers Association managing director Meryl Halls said: "It is extremely disappointing to note that, yet again, Amazon's tax announcement illustrates the online multinational giant--possessed of a huge market share and all the associated commercial bargaining power that goes with it--entrenching its substantial commercial advantage over its competitors in the U.K. book trade, and more widely." "We want to see a situation where U.K. booksellers are no longer forced to compete with one hand tied behind their backs and that we see the establishment of a level playing field, with the government recognising U.K. booksellers for the high street [main street] heroes they are, and, crucially, to bring forward the promised reform of the taxation of the digital economy so that U.K. booksellers are given a chance to compete." An Amazon U.K. spokesperson said: "We pay all taxes required in the U.K. and every country where we operate. Corporation tax is based on profits, not revenues, and our profits have remained low given retail is a highly competitive, low-margin business and our continued heavy investment." In a related story, Amazon pays £38 million (about $49.3 million) a year in business rates (taxes on commercial property) on its 189 sites in England and Wales, much less than bricks-and-mortar retailers, a Daily Mail investigation has found. Amazon's real estate in England and Wales include warehouses, offices and lockers at public locations. The paper noted that the news "comes as Amazon faces accusations it is killing the high street by reducing its corporation tax bill to the lowest possible level and ruthlessly undercutting rivals. Bricks-and-mortar shops are being hammered with soaring business rates while the web giant enjoys low rates in out-of-town warehouses. The Mail is campaigning for business rates in Britain to be reformed." The Daily Mail said calculations for the Amazon bill were "based on a public database of how much every property is required to pay and cross-referenced with sites owned by Amazon." An Amazon spokesperson called the research "misleading and inaccurate. Amazon pays millions of pounds more in business rates in England and Wales than suggested by the research and our business rates bill has increased significantly in 2018." As the paper remarked, however, the company declined to provide a different amount. Joe Durepos, executive editor for trade acquisitions at Loyola Press, is retiring from the press after nearly 17 years, effective October 31. Before joining the company as a senior acquisitions editor in 2002, he worked for six years as an independent literary agent, developing and placing such titles as Matthew Kelly's The Rhythm of Life, Oriah Mountain Dreamer's The Invitation, Phyllis Tickle's The Divine Hours, Cardinal Joseph Bernardin's The Gift of Peace, Bret Nicholaus's The Conversation Piece, and Mother Teresa's No Greater Love. At Loyola Press, Durepos was part of a trade acquisitions team that published Chris Lowney's Heroic Leadership, Joan Wester Anderson's In the Arms of Angels, Fr. James Martin's My Life with the Saints, Go in Peace by St. John Paul II, and The Church of Mercy and Dear Pope Francis by Pope Francis. 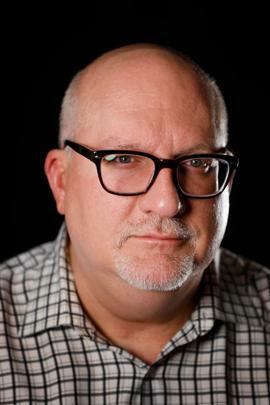 He has acquired and worked with a authors, including Heather King, Joe Paprocki, Kerry Weber, Jim Manney, Jane Knuth, Brian Doyle, Amy Welborn, and Fr. Richard Rohr, and helped publish many Jesuit authors, including Fr. William Barry SJ, Fr. David Fleming SJ, Fr. James Martin SJ, Fr. Joseph Tetlow SJ, and Fr Mark Thibodeaux SJ. Durepos commented: "I've had the best job in the world, working with an incredibly talented team and the finest writers. Now it's time to make room for others to bring the Press to ever greater heights in the years to come. As for me, I intend to sleep, travel, binge watch British crime dramas and read the stacks of novels that have been calling to me for years." Loyola Press president and publisher Joellyn Cicciarelli said, "With Joe's acquisition guidance, Loyola Press has consistently published some of the most notable Catholic authors and books of our time--works that will endure. Joe has helped us acquire titles that have been New York Times bestsellers and that have received numerous Christopher Awards, Independent Press Awards, and the Association of Catholic Publishers awards. Joe's acquisitions have helped to position Loyola Press as one of the top Catholic publishers in the country, and we are forever grateful for his contributions." 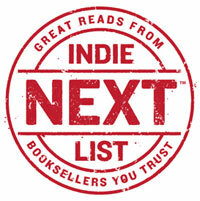 Last Thursday, the American Booksellers Association's e-newsletter edition of the Indie Next List for August was delivered to nearly half a million of the country's best book readers. The newsletter was sent to customers of 130 independent bookstores, with a combined total of 491,811 subscribers. The e-newsletter, powered by Shelf Awareness, features all of the month's Indie Next List titles, with bookseller quotes and "buy now" buttons that lead directly to the purchase page for the title on the sending store's website. The newsletter, which is branded with each store's logo, also includes an interview (from Bookselling This Week) with the author whose book was chosen by booksellers as the number-one Indie Next List pick for the month, in this case The Incendiaries by R.O. Kwon (Riverhead Books). 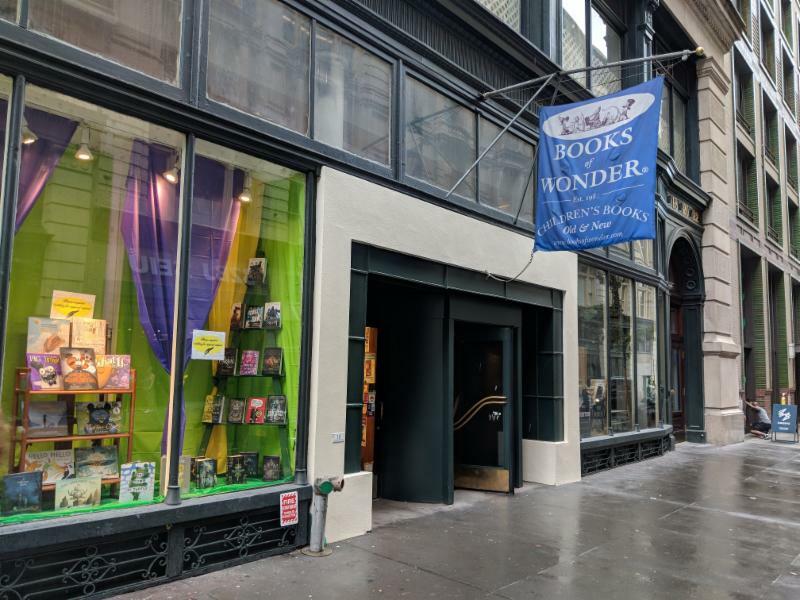 For a sample of the June newsletter, see this one from Little Shop of Stories, Decatur, Ga.
Books of Wonder, New York City, recently had an unveiling of sorts. As owner Peter Glassman explained, "Back in November of 2015, scaffolding went up over our 18th Street store for mandatory maintenance on the building's exterior. At the time, the building management told us it would be up for about three months. When it was still up six months later, people started asking us when it was coming down. When it was still up after 18 months, people stopped asking, as it had become an unpleasant reality. When we recently passed the 2½ year anniversary of the scaffold appearance, I began to despair of ever seeing daylight hit the store windows again. But, after two years and eight months, THE SCAFFOLDING IS FINALLY GONE! We actually have a real sidewalk again!" Happy Fifth Birthday, Northshire Bookstore in Saratoga Springs! 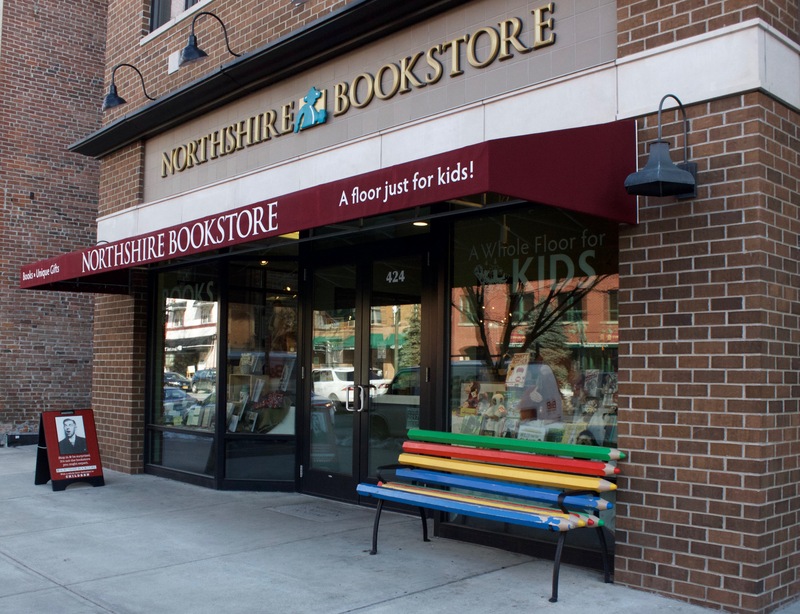 Congratulations to the Northshire Bookstore in Saratoga Springs, N.Y., which celebrated its fifth anniversary yesterday! The store gave away tote bags, offered a variety of raffle prizes and had cake and a toast at 4 p.m. The store wrote: "We are so grateful to everyone in this community who has welcomed us, and helped us to thrive over these five years." Two years ago, the Northshire Bookstore in Manchester Center, Vt., celebrated its 40th birthday. It was founded by Ed and Barbara Morrow whose son Chris now is co-owner and runs the stores. "These 10 shops are as much about community-building as they are selling books," Now Toronto reported, noting that indie bookstores "might require more effort to seek out, but many shops offer so much more than an e-retailer. Booksellers who spend their lives reading and curating books rival an Amazon suggestions sidebar any day. It's a profession not fueled by promises of fame and riches, but out of passion and the desire to create community spaces. The following Toronto shops not only sell books, but galvanize marginalized communities or serve a niche audience." Effective August 13, Nancy Sheppard is joining Basic Books as marketing director. 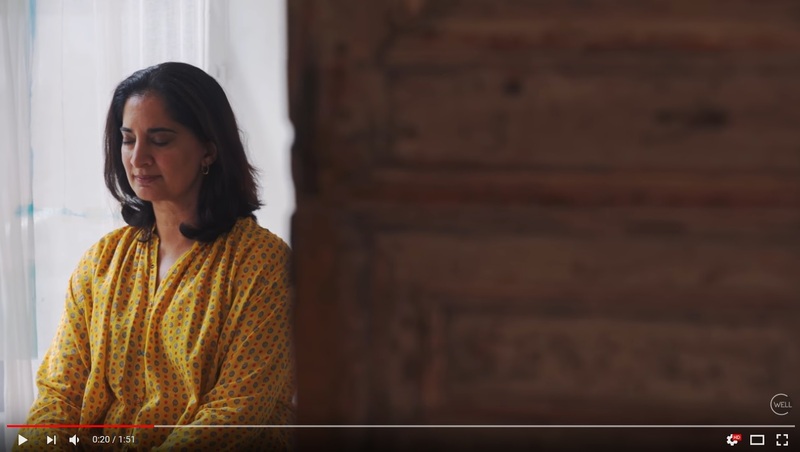 Most recently, she was marketing director at St. Martin's Press. Matt Ortile has joined Catapult as digital managing editor. He was most recently the global publishing lead for BuzzFeed International and the founding editor of BuzzFeed Philippines. Just Breathe: Meditation, Mindfulness, Movement, and More by Mallika Chopra, illustrated by Brenna Vaughan (Running Press Kids). Morning Joe: Rick Wilson, author of Everything Trump Touches Dies: A Republican Strategist Gets Real About the Worst President Ever (Free Press, $27, 9781982103125). He will also appear today on CNN Tonight and tomorrow on MSNBC's Live with Katy Tur and 11th Hour with Brian Williams. Megyn Kelly: Ron Stallworth, author of Black Klansman: Race, Hate, and the Undercover Investigation of a Lifetime (Flatiron, $17.99, 9781250299055), the basis for the new film BlacKkKlansman. Fresh Air: Julian Adler, co-author of Start Here: A Road Map to Reducing Mass Incarceration (New Press, $24.99, 9781620972236). The Talk repeat: Tyra Banks, author of Perfect Is Boring: 10 Things My Crazy, Fierce Mama Taught Me About Beauty, Booty, and Being a Boss (TarcherPerigee, $27, 9780143132301). Daily Show: Stacey Abrams, author of Minority Leader: How to Lead from the Outside and Make Real Change (Holt, $28, 9781250191298). NPR's On Point: Joan Morgan, author of She Begat This: 20 Years of The Miseducation of Lauryn Hill (Atria/37 INK, $24, 9781501195259). Ellen repeat: Gayle King, author of Note to Self: Inspiring Words from Inspiring People (Simon & Schuster, $20, 9781982102081). The Talk repeat: David Duchovny, author of Miss Subways: A Novel (Farrar, Straus and Giroux, $26, 9780374210403). Watch What Happens Live: Jake Tapper, author of The Hellfire Club (Little, Brown, $27, 9780316472319). Natasha Barnes, Molly Lynch and Siobhan Athwal will star in Wasted, a new rock musical about the lives of the Brontë sisters that will have its world premiere this September at London's Southwark Playhouse under the direction of Adam Lenson (The Rink), Playbill reported. Matthew Jacobs Morgan will play Branwell Brontë. With book and lyrics by Carl Miller and music by Christopher Ash, Wasted is told through the lens of a rock documentary as "an access-all-areas account of the struggles, heartbreaks and triumphs of the three Brontë sisters Charlotte, Emily, Anne, and their brother Branwell. Brought up in a remote, poverty-stricken town in Yorkshire, without money or opportunity, they fought ill health, unrequited love and family feuds to write some of the most celebrated literature including Jane Eyre and Wuthering Heights." Ghost Boys by Jewell Parker Rhodes (Little, Brown Books for Young Readers) has won the 2018 Carla Cohen Free Speech Award, sponsored by the New Atlantic Independent Booksellers Association and named after the late co-founder of Politics & Prose, Washington, D.C. NAIBA said, "It is rare that a story has the ability to change perceptions and open minds, especially for those who have the privilege to look away.... Ghost Boys is that kind of story." Rhodes is the author of Ninth Ward, a Coretta Scott King honor book, Sugar, winner of the Jane Adams Peace Association book award, Bayou Magic, and Towers Falling. She has also written many award-winning books for adults. She commented: "As a young author and professor in the D.C. area, I knew of the enormous impact Ms. Cohen had made on arts, culture, and community. To be recognized as a children's author that Ms. Cohen would have embraced thrills me beyond measure. Her democratic vision and her commitment to informing and engaging everyone (especially children) will inspire me always. I embrace her life's work and memory just as I embrace the legacy of the ghost boys to 'live better,' and help shape our citizenry to seek wisdom and empathy within independent bookstores." The award will be presented on Sunday, October 7, at the Awards Banquet during the NAIBA Fall Conference in Baltimore, Md. Nominees in eight categories for the 2018 World Fantasy Awards can be seen here. Winners will be announced during the World Fantasy Convention Nov. 1-4 in Baltimore, Md. The convention is also giving Lifetime Achievement Awards to Charles de Lint and Elizabeth Wollheim. Energetic enthusiasm, integrity, sharp perceptions and an ardent love of beauty in all forms seem to have defined the iconic New York Times photographer Bill Cunningham (Facades) since his childhood. During his life, he was a charming and influential public enigma in the fashion world, despite being the focus of a 2010 documentary. After his death, his family found this memoir, Fashion Climbing. It covers his early life in repressive 1930s-'40s Boston, his rise as a successful milliner in 1950s-'60s New York City, and the start of his second career as a fashion journalist. It is no tell-all, but there are plenty of juicy reasons why such a tactful, private person would have left it in a drawer for so long. One of Cunningham's earliest memories was of wearing his sister's best dress and being beaten for it by his mother. Of Easter Sundays, he wrote, "I can't remember a thing the priest said during Mass, but I sure as hell could describe every interesting fashion worn by the two hundred or so ladies." He saved pocket money to buy pretty things for his mother and sister, and loved to dress up with beautiful girls. "By the time I was twelve, the family was in a state of frenzy over how they could knock this artistic nature out of me." Nothing worked. 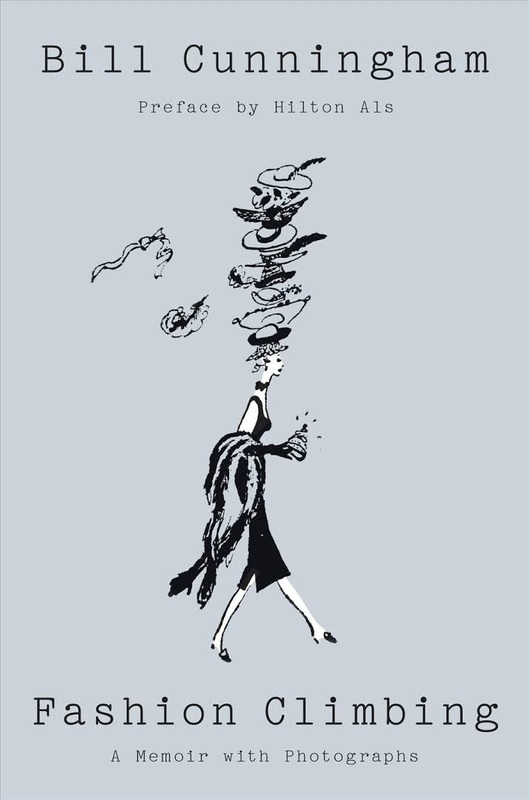 Inspired by the glamorous opening of the Bonwit Teller department store in Boston, he got a job there and soon transferred to New York City for new creative opportunities and all the glamorous parties he could crash. When he was drafted in 1950 and sent to France, he ran tours for soldiers and taught millinery classes for officer's wives. "The army days were full of fun and excitement. In the spring, the fabulous Beaux-Arts ball of Paris was thrilling, as everyone poured their ingenuity into extraordinary costumes... we danced a conga line through the sidewalk cafes of the Champs-Elysees." Shelf Talker: The influential fashion journalist tells vivid stories of his fashion world youth in this charming, opinionated posthumous memoir.